With its unorthodox, dramatic form, ZŁOTA 44 is seen as a sculpture. But this architectural work of art would not add up to a harmonious whole if the spectacular exterior wasn’t matched by a unique interior. In ZŁOTA 44, the interior blends functionality with an artistic flair. 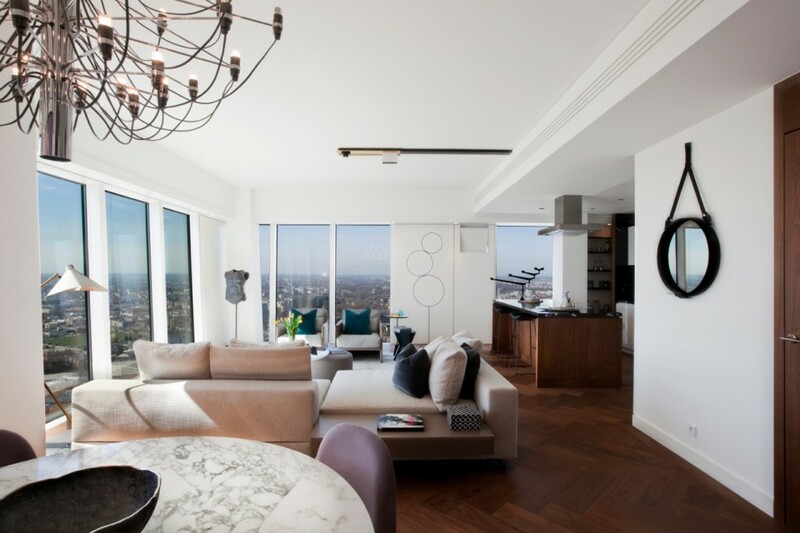 All apartments and common areas have been designed by Woods Bagot’s prestigious London studio. Taking its cue from art and the rich legacy of 19th-century European metropolitan cities and giving it a modern twist, ZŁOTA 44’s interior design perfectly complements the aspirations and spirit of Daniel Libeskind’s architecture. ZŁOTA 44 apartments will be fully finished and appointed. The future residents can already choose from 9 interior design options, ensuring that their chosen apartment will be a perfect match for their needs. The fusion of individual style with iconic design will make for an extraordinary living space. The signature layout of the naturally lit apartments, with their numerous slanted walls and unconventional alcoves, is ideal for displaying art. Unique prints, paintings and sculptures are a delightful addition and, along with the other aspects of the interior, highlight the luxury at its worldly best. By placing art in interiors so strongly influenced by the form of the building, designers can create unconventional interior designs. Modern art will be a perfect match for the modern interior design by Woods Bagot’s studio. ZŁOTA 44 is a place that fuses the art of architecture with design and high art to create an extraordinary living space, a sure formula to foster the art of living.